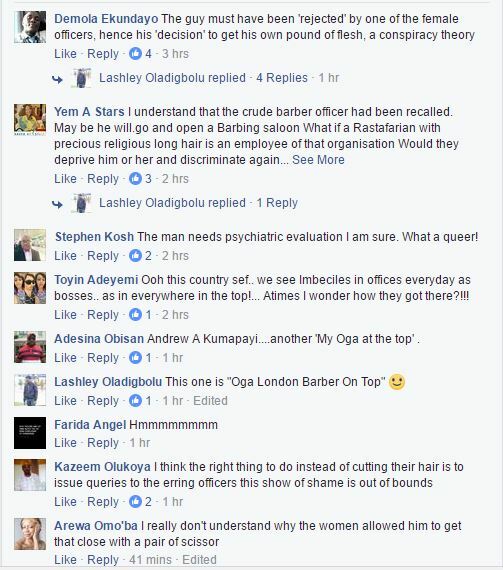 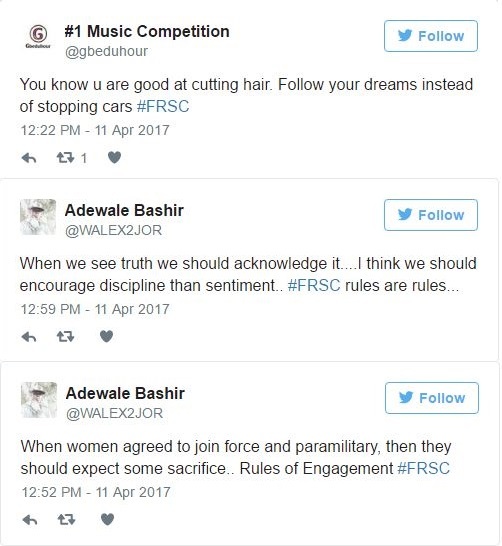 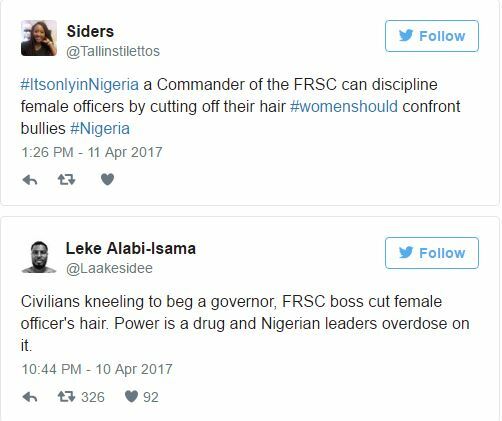 Nigerians on social media have taken to their various accessible social media platform to react to the viral photos of a Federal Road Safety Corps, FRSC commander cutting off a female officerâ€™s hair. 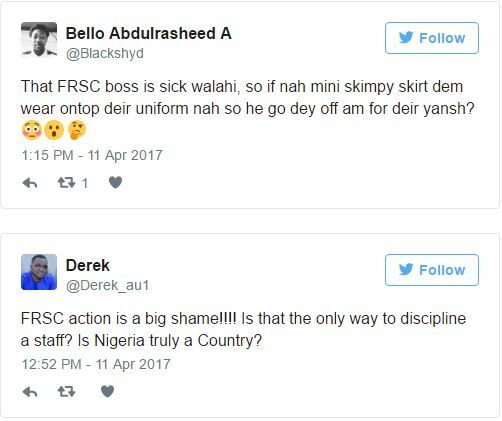 Nigerians who feel the act was in violation of the officerâ€™s right questioned the moral and legal backing of the commanderâ€™s act. 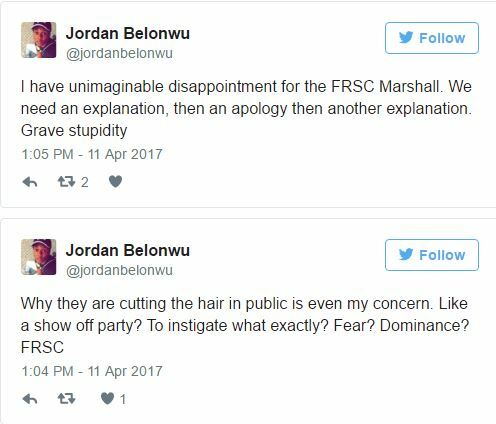 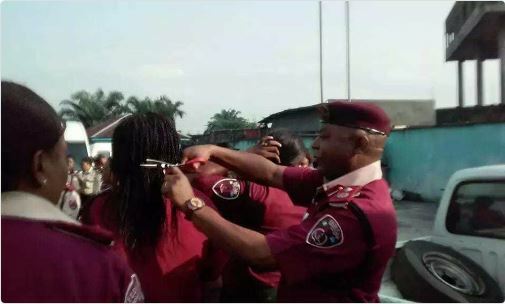 Recall that photos of the FRSC sector commander in Rivers state, Andrew A.Kumapayi, cutting off female officersâ€™ hair extensions had gone viral yesterday.